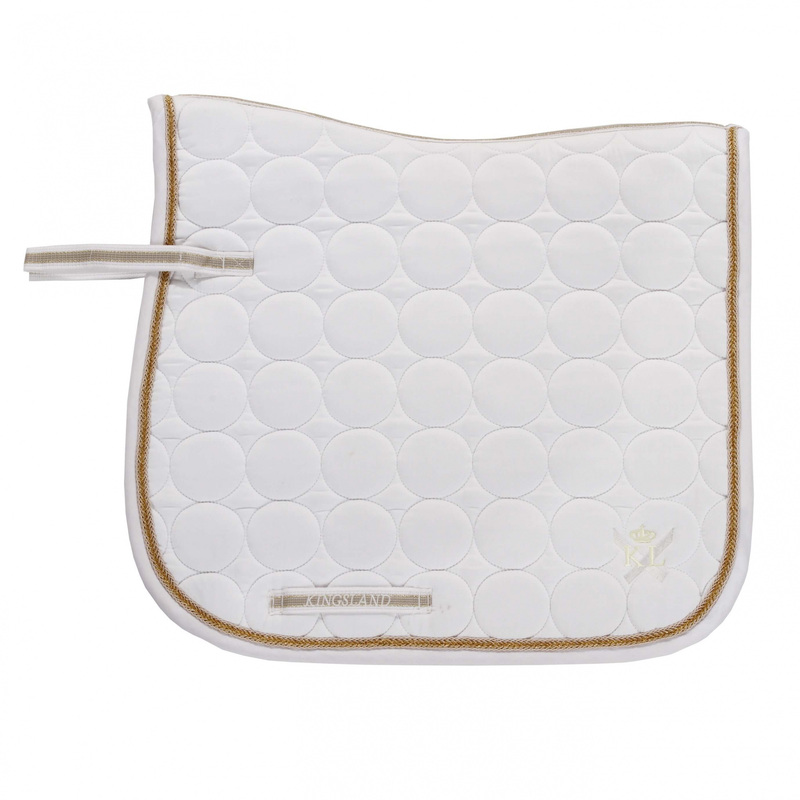 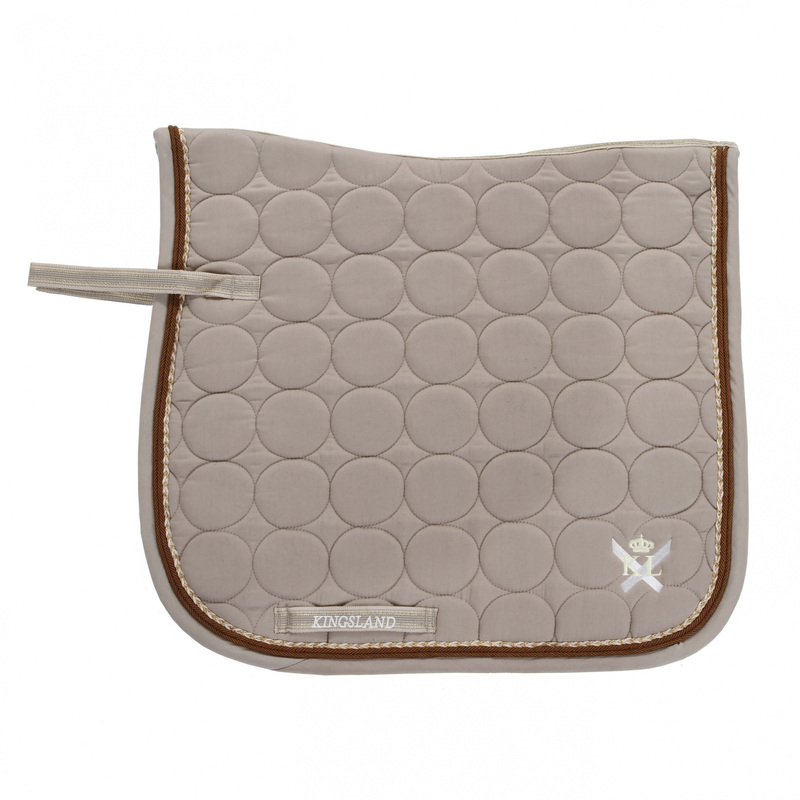 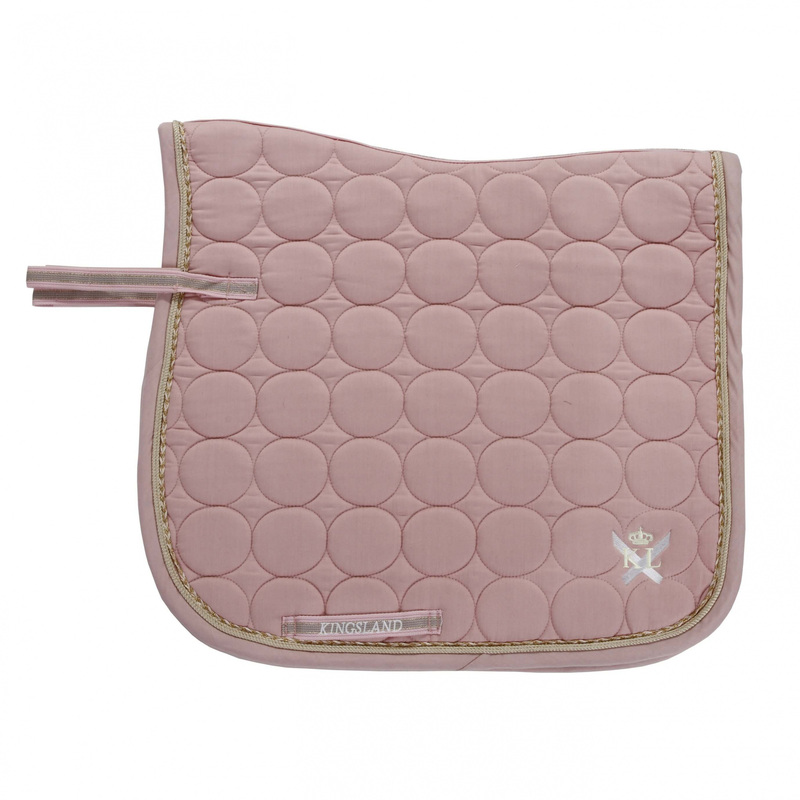 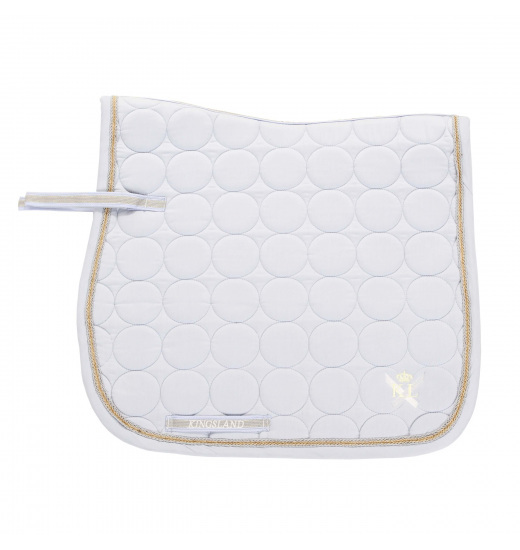 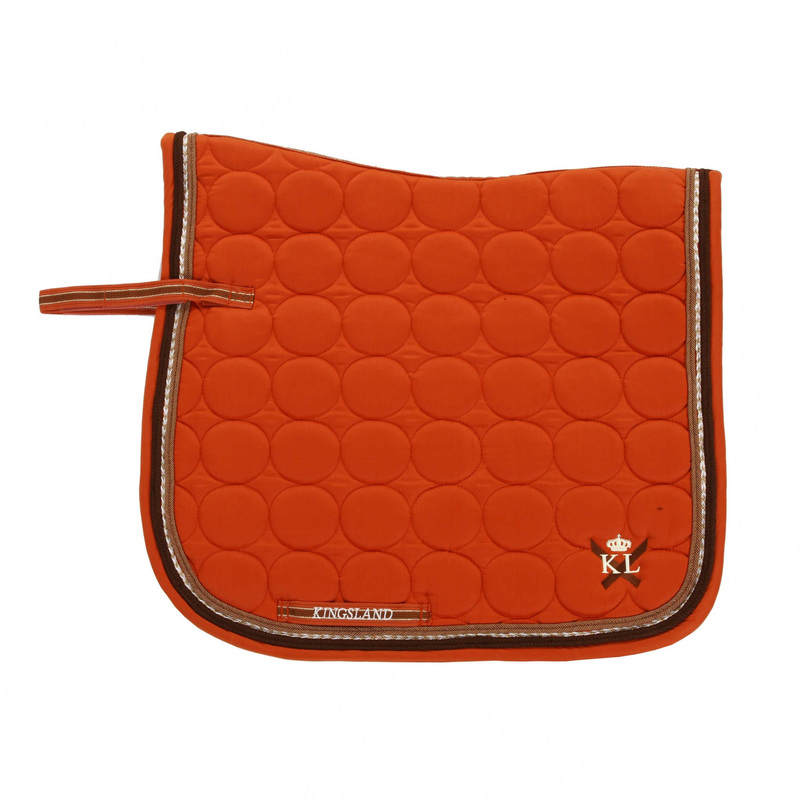 Vermeer SADDLE PAD - includes the improved structure to allow more freedom of movement of whiters. 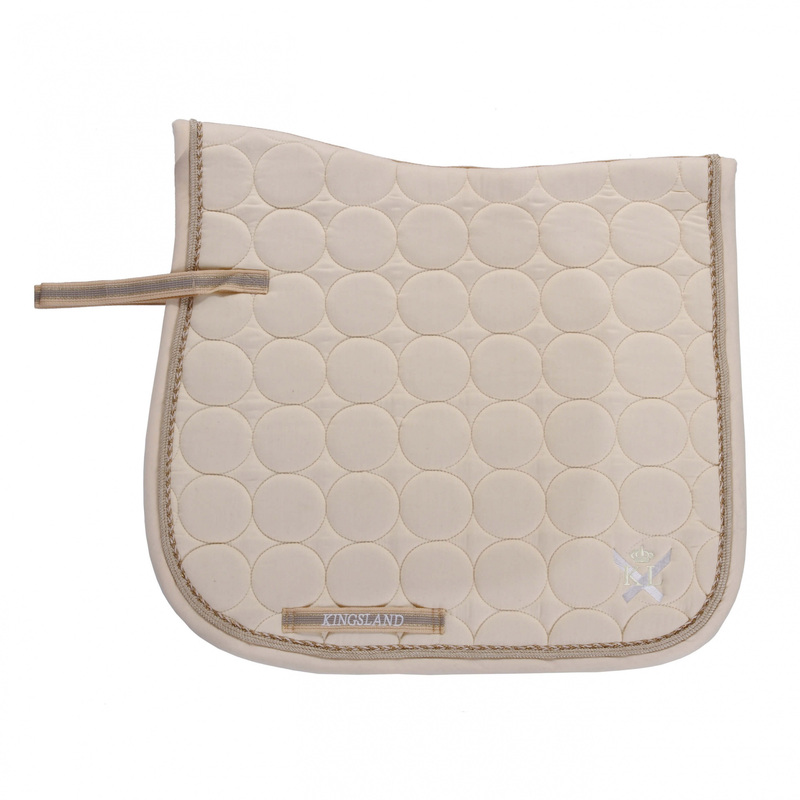 Quilted in circles. 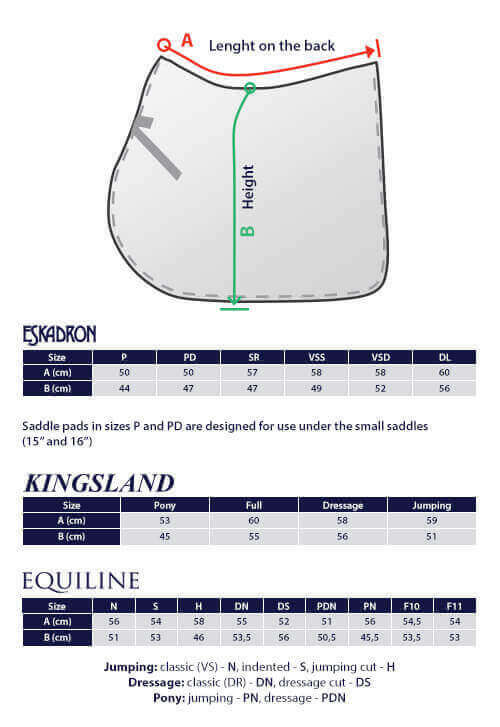 Decorative trimming around the pad, on the bottom left side Kingsland Dressage embroidery.